The resort and its vast incredible natural wonders draws you to relax and discover the untouched beauty of the surrounding Cardamom Mountains and foothills. 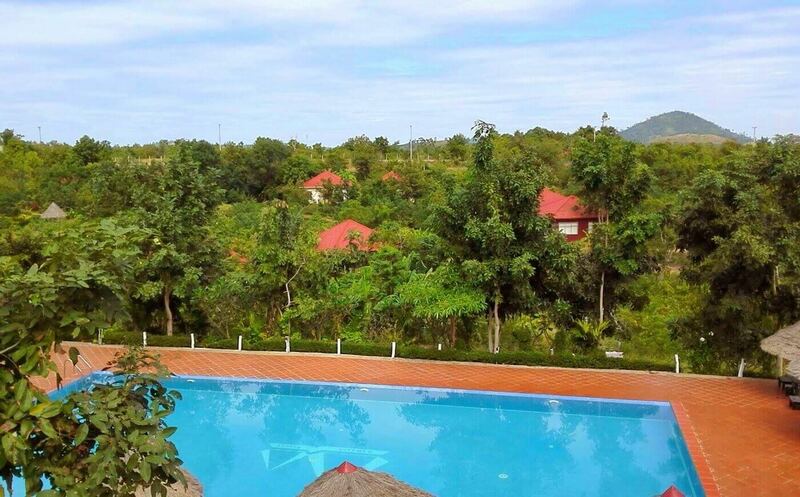 Located on a hillside with sweeping views of the beautiful country landscape, Memoria's refreshing saltwater swimming pool is perfect for a refreshing dip after a days adventuring or a relaxing afternoon amidst Pailin's natural beauty. Take in the splendor of sunrises and sunsets against the backdrop of the Cardamom Mountains and big open skies. We, the Management team and staff, would like to apologize in advance to our in-house guest(s) that sometimes you may see a group of children coming here to swim as every week we allow one time to the disadvantage children from nearby Centers to come here to swim for free of charge as we believe these children should have the same joy like any other children. There are many sites and locations to explore in Pailin province. We can organize guided bike tours at Memoria Palace & Resort. 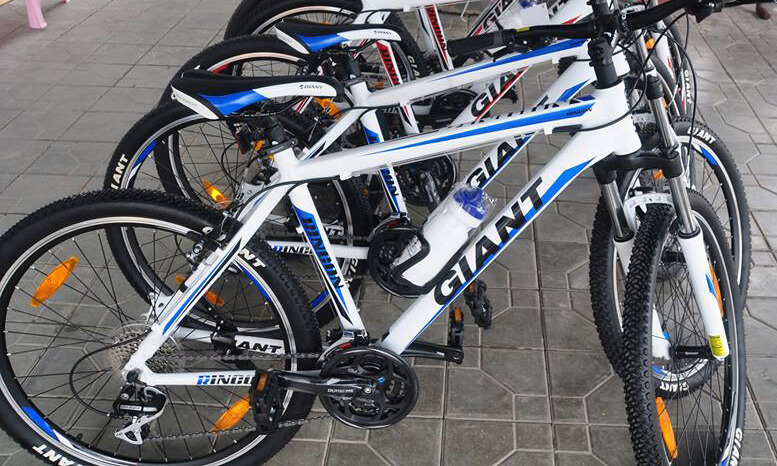 For more adventurous guests, we happily provide a range of Giant brand mountain bikes and helmets for rent so our guests can enjoy the scenic countryside and mountain views while immersing themselves into the local culture.